A voluntary group from Rotherham which works in the community supporting homeless and vulnerable people towards a fulfilling and independent life has been honoured with the Queen’s Award for Voluntary Service, the MBE for voluntary groups in the UK. Shiloh Rotherham is a charity founded on Christian beliefs that offers support to adults in the borough who are homeless, at risk of homelessness or living in poverty. Shiloh’s team and partner organisations offer food, clothing, laundry, showers, training, mentoring and activities. Our aim is to support all guests to live a fulfilling and independent life. Shiloh Rotherham is one of 250 volunteer-led groups to receive the prestigious award this year. The number of awarded groups has increased again this year, demonstrating the continuous expansion and value of the voluntary sector in today’s society. Shiloh is only the second Rotherham charity in the last ten years to have received this award and was nominated for the award by former Mayor of Rotherham Cllr Eve Rose Keenan. This is the highest award given to volunteer groups across the UK to recognise exceptional service within their communities. The recipients of the award are announced each year on 2 June – the anniversary of the Queen’s Coronation. Shiloh’s Voluntary Chairman, John McDonnell said he is delighted that Shiloh, with its team of volunteers has received this prestigious award. He said: “This could only have been possible with the support of the Rotherham community which has supported the work of Shiloh for over 25 years. 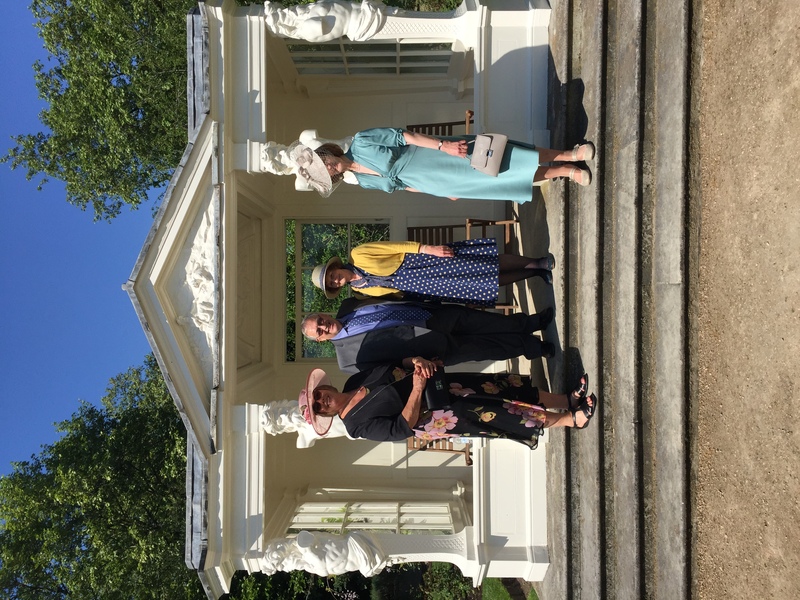 John and Jane McDonnell, Judy Dalton and Linda Barnes from Shiloh Rotherham attended a garden party at Buckingham Palace on 15 May where they saw the Queen and other awardees of this year’s 2018 award. 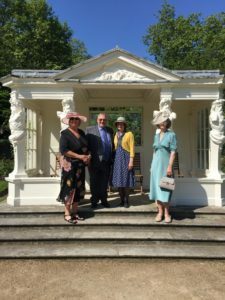 From left to right: Representatives of Shiloh attending the Queen’s garden party at Buckingham Palace to celebrate the Queen’s Award for Voluntary Service: Judy Dalton Volunteer Deputy Chair; John McDonnell, Volunteer Chair; Jane McDonnell, Volunteer Personal Assistant to the Chair; Linda Barnes, Welcome Team volunteer. Nationally the awardees are incredibly diverse, innovative and impactful, ranging from FISH Neighbourhood Care, an organisation committed to combating loneliness and social isolation in older and vulnerable people living in Barnes, Mortlake and East Sheen in Greater London to The Monday Night Club, providing social opportunities and sporting activities for adults with learning disabilities and autism in Worcestershire. Shiloh Rotherham will receive the award from HM Lord-Lieutenant of South Yorkshire later this summer. Tracey Crouch, Minister for Sport and Civil Society, said: “Everyone who has received this award should be incredibly proud. Their service, commitment and care have a profoundly positive impact on communities throughout the country and I am delighted they have been recognised with this prestigious award. The Queen’s Award for Voluntary Service Independent Committee Chair, former broadcaster and journalist, Sir Martyn Lewis CBE said: “This year’s record number of Queen’s Award awardees are a powerful testimony to the remarkable achievements and innovative ideas which characterise volunteering in the UK. They prove that, more than ever, volunteers beavering away at grassroots level are the active lifeblood of our communities, identifying all kinds of problems and issues and tackling them with enthusiasm, talent and a high degree of success.